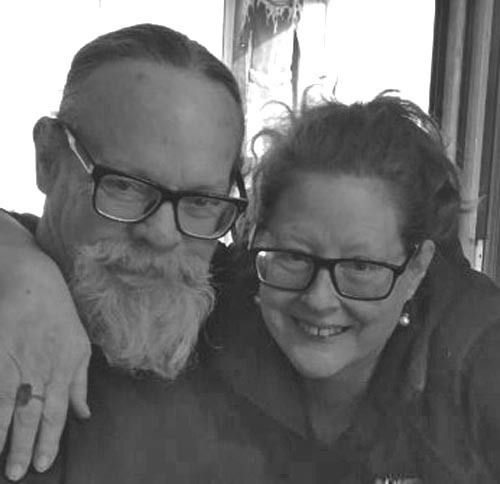 CHEBOYGAN, WI – Jeffry Bond “Smitty” Smith, 67, of Cheboygan, passed away Thursday, April 4, 2019 at University of Michigan Medical Center in Ann Arbor. A resident of the area for the past 2 1/2 years, moving from Marquette, Jeff was born January 13, 1952 in St. Angelo, Texas, the son of William Floyd and Johnnie Myrl (Bond). He found joy in living, foremost being his family. In life, he was an outdoorsman, a black smith, and a woodworker. Jeff was employed as a facilities and operations manager at Northern Michigan University in Marquette, and also was a member of the NMU employees union, AFSCME #1094 under council 25 of Marquette, serving his union members well by holding various offices throughout his 40 year employment with the university. He also had a great love and support for public radio, which soothed his cowboy heart. Surviving is his wife, Mary, a son, Dylan, two brothers, Kelly (Joanie) Smith of Florida, and Brad (Sheryl) Smith, of Pennsylvania, and several nieces and nephews. He was preceded in death by his parents, and a son, Matthew. A celebration of Jeff’s life is being planned for this summer and will be announced at a later date. In lieu of flowers, memorials may be made to Interlochen Public Radio.